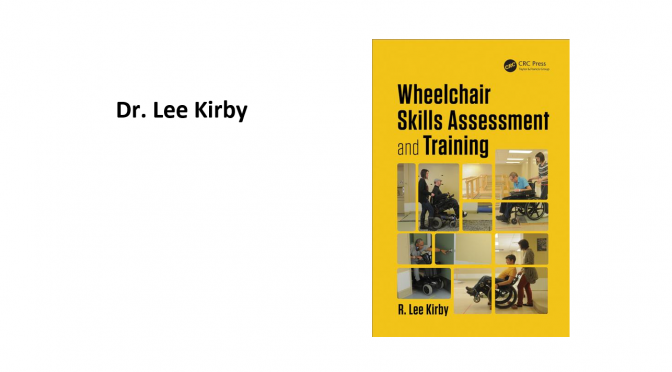 Dr. Lee Kirby from the CanWheel Research Team published his new book, Wheelchair Skills Assessment and Training. As part of the Rehabilitation Science in Practice Series, this book goes into the protocols for the assessment and training of wheelchair skills. It is based on the Wheelchair Skills Program that has been accessed and utilized by over 75,000 people in 177 countries since 2007. Wheelchair Skills Assessment and Training – Dr. Lee Kirby.